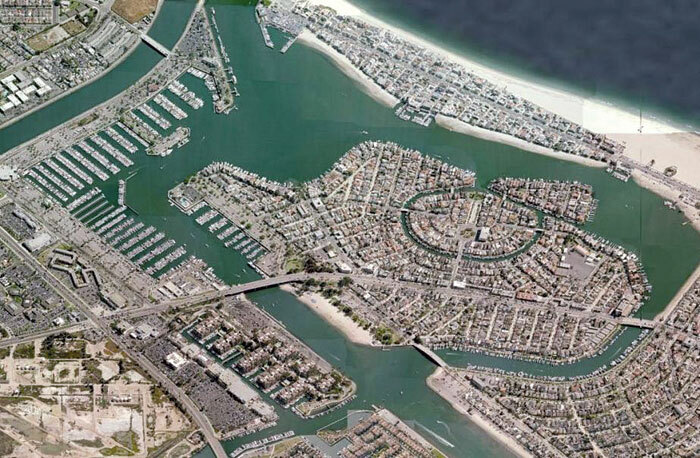 LONG BEACH — With Phase 1 of Alamitos Bay’s $98 million marina rebuild project complete, Phase 2 of the plan has begun. Now that dredging in Basin 1 is wrapping up, the rebuilding of the area’s docks and slips is next on the list. The project is scheduled in phases over the next several years. Docks and landside improvements at Alamitos Bay’s Basin 4, located between Long Beach Yacht Club and the Long Beach Sea Scout Base, are already completed. That phase cost $11.8 million and replaced the area’s 239 slips — ranging in size from 20 to 70 feet — with 191 slips in the 20- to 60-foot range. For Phase 2, the old docks at Basin 1 have already been demolished, and dredging of the area is well under way. “So far, everything has been going well — and we’re expecting to wrap up dredging by mid-July,” said Mark Sandoval, Long Beach Marine Bureau manager. The basin, located along North Marina Drive near the Crab Pot Seafood Restaurant and the city’s marina center offices, was designated as containing polluted sediment unsuitable for ocean disposal. Around 42,000 cubic yards of sediment had to be dredged and transported by barge to the Port of Long Beach’s Middle Harbor Project site, for use as contained fill material. Operating under a June 30 deadline, Sandoval said the dredging team worked on a round-the-clock schedule to meet the port’s deadline for accepting the dredged material. The last of the sediment was removed by June 29. An additional 18,000 cubic yards of sediment has been earmarked for removal from the basin, and it has been cleared for ocean disposal. The clean sediment is expected to be dredged out early this month. With the area dredged, the $17 million Basin 1 rebuild plan is expected to be given final approval by the Long Beach City Council. The city council must sign off on the building and installation of the new dock system that will include 149 slips, from 35 to 75 feet — replacing the previous configuration of 168 slips. An additional 115-foot slip will be constructed, as well. A $12.1 million Cal Boating infrastructure loan and $6.5 million from the city’s Marina Fund are funding the Basin 1 project. Future phases are scheduled for Alamitos Bay’s basins 2 and 3, but both require additional funding for the dock reconstruction to be financed. Dredging: With the contaminated sediment removed, the remaining 18,000 yards of clean sediment marked for ocean disposal is next on the list. Pile Driving: Using the 60-foot by 120-foot, 120-ton derrick barge DB-24 and a pile driving hammer, piles will be driven into location at an approximate rate of eight piles per day. Piles will arrive via Dutra’s flat barge, which will be loaded off-site. Both barges will be positioned and piloted by tugboat. Dock Assembly: Floats will arrive by flatbed tractor-trailer truck from Dixon, and will be staged in the parking lot just outside the Marina Drive Construction Staging Area overnight. The floats will be offloaded by crane. Once in the water, floats will be assembled at Gangway #34 of Basin 3 into long, main walk dock sections. Once assembled, the sections will be floated across the channel to Basin 1 for final assembly/installation. Seawall Repair: Waiting for low tide, crews will work on cleaning out areas of the seawall in need of repair, placing filter fabric to keep concrete from seeping into the water, and then will pour concrete into any voids that may exist. Once repairs and dredging are complete, new 75-pound rocks will be added along the wall for reinforcement. Crews will be working from the land, on the water by small workboat, and a small dive team will be working under water, as well.